Transparency initiative “Jonvabaliai.lt” promoting integrity among EU-funded projects in Lithuania received the EU “RegioStars 2016” award. The initiative “Jonvabaliai.lt already helped implementing organizations to publicly report for 655.55 million EUR of EU funds. The aim of “Jonvabaliai.lt” is to encourage organizations which had received EU funding to publicly report on implemented projects and also to encourage the Lithuanian public to independently evaluate their work and transparency. This is a first such initiative to have been implemented in the region. “RegioStars” awards are presented annually to the most inspiring and innovative initiatives around the EU. This year, 104 projects competed in 5 different categories. “Jonvabaliai.lt” competed and won in the category “Effective administration” . “Jonvabaliai.lt” helps observe projects which received funding for the year 2007 – 2013. During this period, EU funded 7902 projects, 633 of which had joined the initiative. 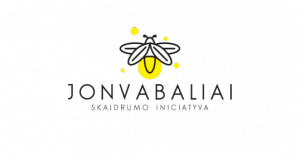 “Jonvabaliai.lt” is a collective initiative, implemented by: Ministry of Finance in Lithuania, Lithuania’s Responsible Business Association, Lithuania’s Business Employers’ Association, Lithuanian Federation of Industrialists, Kaunas University of Technology, associations “Investors’ Forum”, “Knowledge Economy Forum” and “Transparency International” Lithuanian Chapter. The initiative was coordinated by the communications agency “IC Baltic”. Some 39 000 unique users (1.3 per cent of Lithuania’s population) already visited www.jonvabaliai.lt.